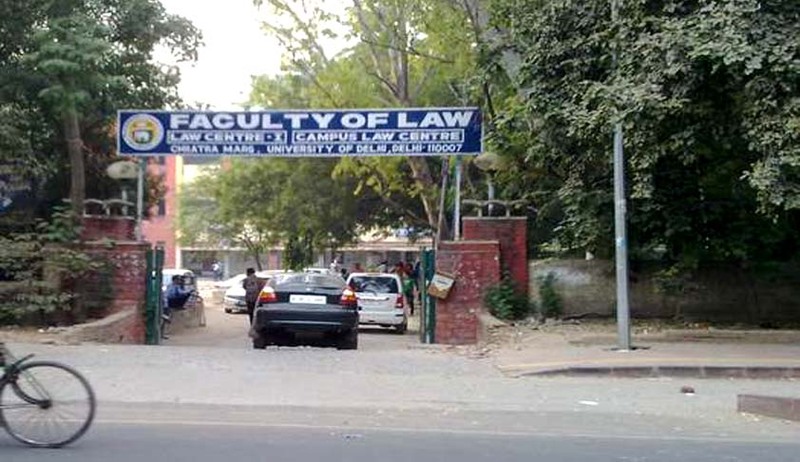 Hearing a petition alleging lack of adequate infrastructure in Faculty of Law, Delhi University, the Delhi High Court through an order asked Bar Council of India(BCI) and Delhi University(DU) to file their responses. The Division Bench consisting of Justices Sanjiv Khanna and Ashutosh Kumar sought answers regarding new proposed law faculty campus and asked about its built up area. In his petition, law student Tarun Narang has alleged that the proposed new campus will fail to meet the standards laid down under the Rules of Legal Education of BCI. The petition has also sought adequate room facilities to students presently at Law Centre I and II with proper reasonable rates and food. Narang in his petition has also sought stay on the BCI circular, due to which law students from Delhi University were not getting enrolment in bar councils. The petition reportedly stated, “BCI has revoked the approval of affiliation only on the ground that the Law Centres, University of Delhi, did not comply with the order issued by it." It also said that the circular could be issued only after an “adverse report of inspection”, as mandated by BCI Rules and hence the circular is bad in law. The petition has now been listed for March 25. You may read more of our coverage on the issue here.